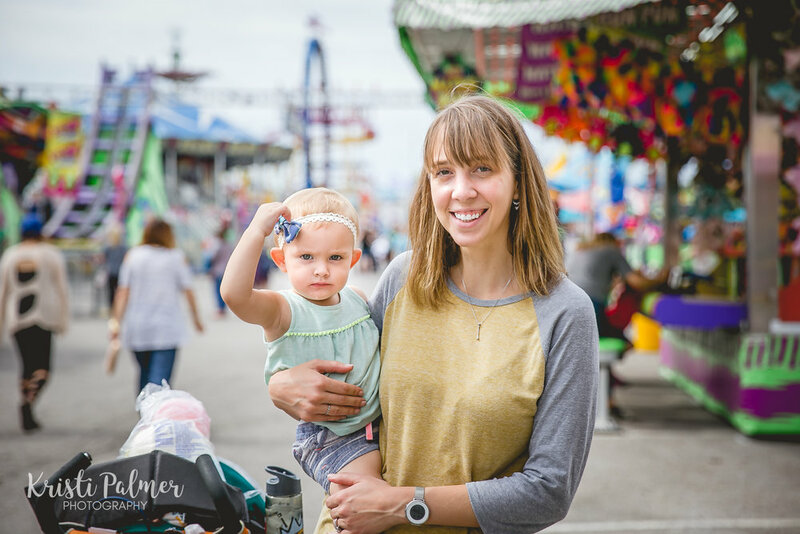 Family Fun at the Fair! 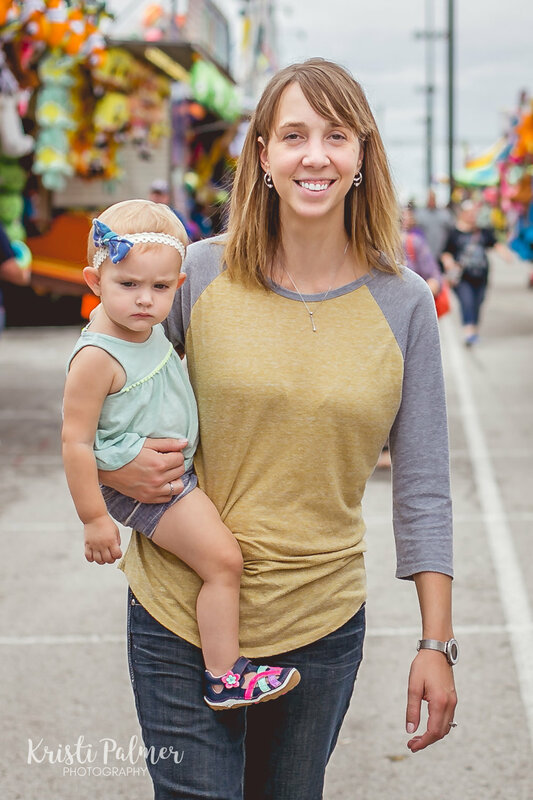 When Jade asked me to do a session at the Tulsa State Fair I was so pumped! It was such a great idea, I wished I had thought of it myself! 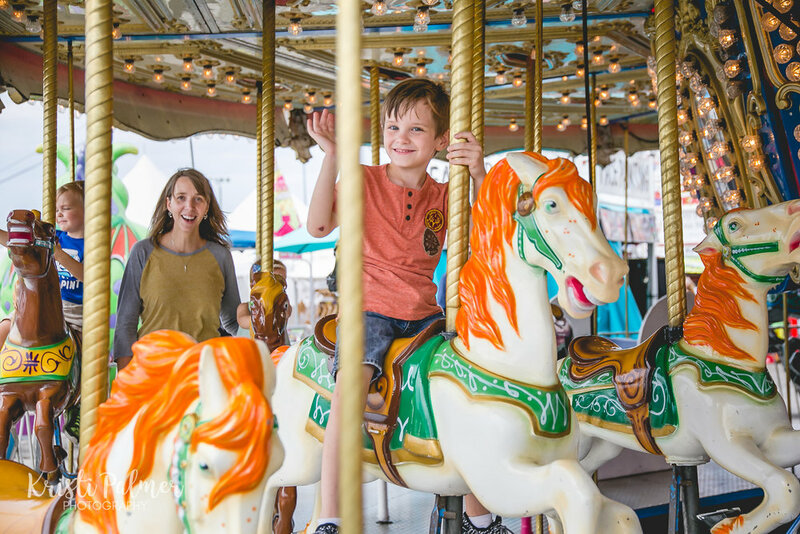 Of course, family photos at the fair can be a bit challenging, but these kiddos were so great and patient with me as I took several posed shots before they were able to go play. After that, capturing all the fun they had was a blast! If you've been keeping up with our vacation stories, you know we recently visited Albuquerque, Page, Bryce Canyon, Zion National Park, and Coyote Buttes South. Our last stop before returning home to Tulsa was the North Rim of the Grand Cayon. And what a great way to end our trip! The North Rim opens in mid-May and we were there the second day it was open. It was still very cold there during our visit and extremely windy! But we were very happy to be there and see the Grand Canyon for the first time ever. It was amazing! I will say that the canyon was every bit as difficult to photograph as I knew it would be. It is just so vast that there is no way a photograph could capture enough of it to portray its size. Nevertheless, I did take a few photos, so without further delay, I'll share them now. I'll start with these photos my husband took with his iPhone. Thank goodness for my husband and our selfie stick (which was so embarrassing to use, at first) and the panoramic shots he took. I'm so glad to have them! And a little proof that I was there too! Here are the photos I took. They don't even almost do the Grand Canyon justice, but I still love them because they're mine! And first you'll see photos of the cutest little cabin we stayed in several miles outside of the park. So that's the end of my vacation photos! I hope you have enjoyed coming along with me on our journey out west. I hope we'll get a chance to head that direction again before too long and I really enjoyed my first attempt at landscape photography! Before our trip, I did some research to find out what places we should visit. I came across some information about The Wave and added it to my list right away. It's very difficult to get a permit to visit this restricted area. They give 20 permits a day. Ten are reserved in an online lottery three months in advance and the other ten are given during an in-person lottery one day ahead of time. Typically, during this season of the year, there are hundreds of applicants, so we knew our chances of getting a permit were very slim. As we expected, we did not get a permit to visit The Wave, also known as Coyote Buttes North, even with three separate attempts. But we were able to acquire a permit for the area just south of there and we were very excited for our chance to explore it. I knew that the Coyote Buttes area was in the desert, but I expected mostly hard, dry ground with some sand on top. Instead, it was very deep sand that was difficult to walk in and filled our shoes! But there were some beautiful formations there and we didn't see anyone at all the entire day. It was a long difficult hike to get there, but I'm glad we had the chance to see it all! Here are some photos my husband captures while we visited the Coyote Buttes South area. And here are my photos from the "big camera." No panoramas here, but beautiful sites nonetheless! Be sure if you're ever in Northern Arizona you make an effort to visit this beautiful and restricted area! It's such an amazing experience and you'll be so glad you did it! Of all the places we visited on this trip, Zion National Park was by far my favorite. It was also the most difficult to photograph, and therefore the one I have the fewest photos of. Most of our trip consisted of canyons and hoodoos. Zion places you right in the middle of majestic cliffs that reach so high you feel like you could fall over backward just looking up at them. I am fairly certain that I have never been as in awe of any other sight than I was at Zion National Park. One thing I hadn't expected was to find that national parks are so very CROWDED. Zion was so crowded, in fact, that a large portion of the park was closed to automobiles and we were required to use the shuttles to get to the various trailheads and vistas we wanted to find. The shuttles, however, ran very efficiently and we didn't mind taking them. On our first day at the park, we decided to do a very challenging hike to Angels Landing. The hike is a steady climb for 2.5 miles with the last half-mile crossing a very narrow sandstone ridge. The elevation gain of the trail is almost 1500 feet. There are anchored support chains along the narrowest and steepest portions and without those chains, I am certain I could not have completed the hike. Even with the chains it was very difficult and at times a little scary. We set off on our hike in good spirits and it wasn't long before we came to some large switchbacks. I was so grateful when we reached what they call Refrigerator Canyon, a respite from the sun with a very cool breeze running through it. Not long after that refreshing portion of the trail, we reached another set of switchbacks, this time a killer set that was very steep and seemed to never end. They call these Walter's Wiggles, and I had to take several breaks to catch my breath as we made our way to the top of them. I'm sharing a borrowed postcard photo so you can get an idea of what this portion of the trail was like. Walter's Wiggles are at the bottom of the image. Angels Landing is at the very top. When we reached the top of Walter's Wiggles, I thought surely we must be almost finished with the hike and ready to head back down when in fact, we were not even almost done. We still needed to climb the very narrow ridge in order to reach the landing. With a bit of encouragement from my husband, I took a deep breath, and we started up the ridge together. One thing to keep in mind is that we did this hike with what seemed like a million other people. There was not a single moment when we were not surrounded by other hikers. We were in a long line of people crossing the ridge, and at the times, the ridge was too narrow for more than one person. We often had to wait as a line of people heading the opposite direction passed very closely and we tried to share the one chain we were all holding on to. There were moments when a stranger was basically hugging me in order to avoid letting go of the chain. When we reached the top, I felt so relieved to finally be there! Once I caught my breath, I was amazed at the view. It was as wonderful as I had expected, maybe even more so due to the feeling of achievement that I had. I snapped a few photos with my camera, but it felt like there was really no point in taking photos. There is not a lens wide enough to show the view that we saw. Only a drone photo could do it justice! My husband took a few panoramic shots with his phone that give you just a little taste of what we saw. Here are a few more photos from this hike. The photo of us together is on a small landing before we actually reached the top, I believe, and the other was taken by my hubs showing me as we were going back down in one of the rare moments that we weren't surrounded by other hikers. Angels Landing was an exhilarating hike and I am so glad I did it! But I was probably even gladder when it was time to head back down. The two and a half miles in reverse were much faster than they had been climbing up! After Angels Landing, I probably should have known better than to try another strenuous hike the very next day, but that's exactly what I did. Our second hike was a very long trail that led to Observation Point, which was as picturesque as it sounded. This hike was extremely more physically challenging than the previous one, and as I said before, the previous one had been the hardest hike I had ever done. When we finished, my husband admitted that had he realized it would be as long and difficult as it was, he wouldn't have asked me to do it. But I am so glad we did do it, if for no other reason than the sense of accomplishment I had when we reached the top! Our hike to Observation Point was a 7.5 mile hike with an elevation gain of almost 3500 feet. I had to stop so many times to catch my breath. By the time we reached the top my legs were absolute jelly and my shoes were full of sand. But the entire trail was absolutely gorgeous. The landscape was constantly changing and every view was breathtaking. I have very few photos from this hike because there was just no way photos could capture the beauty and besides, I was too busy just trying to breathe! By the time we left Zion, I was exhausted, proud of what I had achieved, thankful for my ever loving and very patient husband, and in awe of God's beautiful creation. I can't wait to go back! I will finish by sharing the few photos I did take while I was there. But photos will never do this place justice. You simply must go experience it for yourself! We had a lovely visit to Bryce Canyon during our vacation. (Click here if you missed the photos from our first and second stop.) The first day was very rainy, so we didn't get to see much until early evening when the rain started clearing. But we still enjoyed the day. And I found some lovely cherry trees to photograph when we stopped for coffee in a cute little town called Tropic, Arizona. We did do some hiking into the canyon during the rain and I managed to snap a few photos once the sun emerged just before sunset. The fog added a mysteriousness to the photos. The town of Bryce itself was not my favorite. I don't have any photos to show of the town, but my husband and I joked that it should be called Ruby instead of Bryce. It seems like about half of the businesses in the small town are named after Ruby - whoever she is or was. There is Ruby's Inn and Ruby's Campground and Ruby's Restaurant and Ruby's Gas Station and so on. And there were no familiar chains, so we were pretty much at the mercy of Ruby, which I found to be a disappointment. We did stay at Ruby's Campground in a big teepee, which sounded more fun when we thought the temperatures would be decent. As it was, we spent a very cold night in a damp teepee, but at least it gave us a story to tell! Bryce Canyon itself was spectacular. There were so many viewpoints and depending on where you were and where the sun was, it looked so different from every angle. It is made up of multiple amphitheaters of hoodoos and is unlike anything else I've seen before. We woke up in time to see the sunrise from Sunset Point (ironically enough). It was well worth the missed sleep! And during our second day we hiked multiple trails in and through the canyon and explored as much of it as we could. Before we left the Bryce Canyon area, we visited the little town of Panguitch, which I thought was the sweetest little town. It looked like something out of a movie! And just before we left I snapped this photo of the back side of the Canyon as the sun was getting low and just loved the way the sunlight bounced off the cliffs. I hope you'll get a chance to see Bryce Canyon someday! It's a great place for anyone to visit, whether you want to do some serious hiking, take a horseback tour, or just view it from the lookout points, it's well worth the trip! This is Part 2 of my little blog series sharing landscapes and other photos from my vacation out west a few weeks ago. If you missed Part 1, you can find it here. After stopping in Albuquerque, we got back in the car and finished the last leg of our journey, ending in Page, Arizona. I really liked the town of Page. It's a small town surrounded by beautiful landscape with plenty of fun local places to eat and lots of beautiful things to see. After checking in to our camp site, we had enough time to visit Horseshoe Bend before sunset and it was breathtaking! I wasn't quite prepared for the crowd, but we were able to find a spot to set up my tripod and get a few images of this stunning site. While waiting for sunset, we saw quite a few people taking selfies with the Bend in the background and many of them made me so nervous! They would step so closely to the edge of the cliff to get the best picture and just one misstep would have meant a fatal fall. Also, I have never seen so many selfie sticks in my life! But it sure was a beautiful site and a sunset worth waiting for. 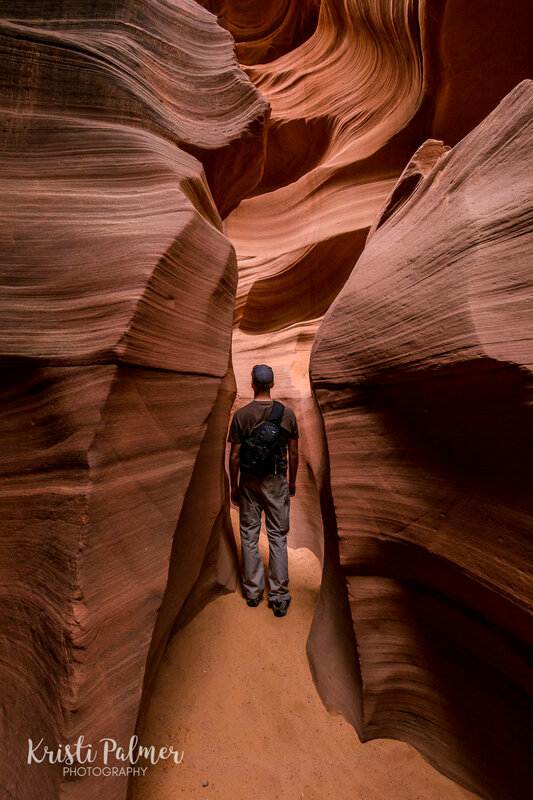 The following day began with a tour of the Lower Antelope Canyon. 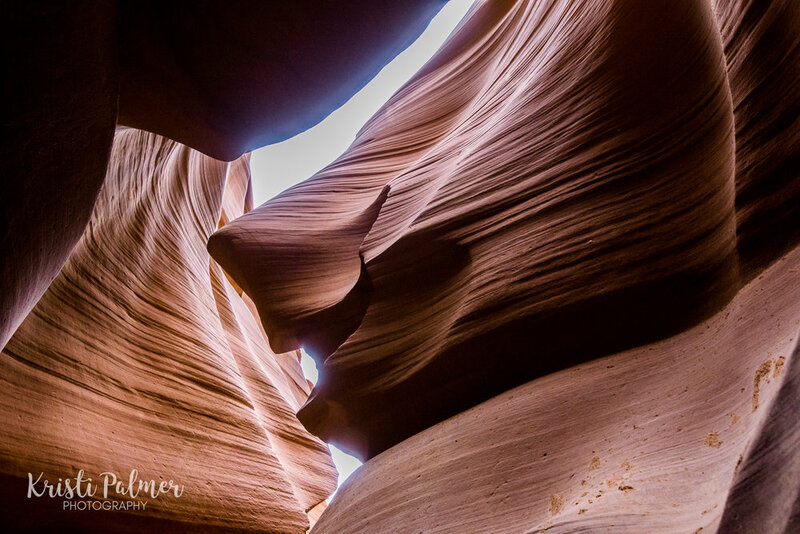 I have seen photos of Antelope Canyon for a long time and was so excited for this tour! They do offer photography tours with smaller groups and more time for photos, but I didn't want to drag my husband on the extra long tour, not to mention the extra cost. I think if I were to visit again, I would definitely go for the longer tour though. I wasn't allowed to bring a tripod and I was snapping frantically away as my group kept moving along and the group behind us kept pushing me forward. Even without a tripod and extra time to shoot, I loved this place! It was more beautiful than I imagined it would be and I was thrilled to finally get to a bucket list item like this one. If you haven't been here, I hope you'll get a chance to visit someday! Our final adventure during our stay in Page was actually just across the state border in Utah. We found a great trailhead called Wirepass. It was one of my favorite hikes of the whole trip! It was in the middle of nowhere and we didn't see a single soul the whole time we were out there. The trail followed a wash which made for some really beautiful and unique views during our hike. We loved our time in the Page area! If you ever get a chance to get out that way, be sure to check out some of these places! And don't forget your camera! I haven't shared much recently because we just got back from a vacation a week ago and I'm still catching up. My husband and I spent eleven days away together and had a wonderful time! We took a trip to northern Arizona and southern Utah and saw so many beautiful places. Of course, I had my camera with me everywhere we went and so I thought I would share some of the photos I took while I was away. 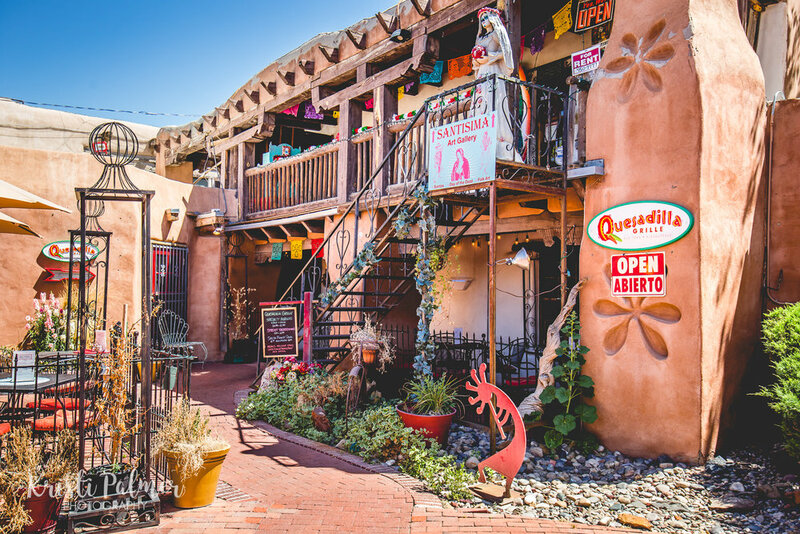 We stopped in Albuquerque, New Mexico on our way to Arizona and stayed just long enough to have lunch in Old Town. It was such a cute little area and we really enjoyed the food we had at the Quesadilla Grille. Old Town is full of turquoise and silver merchants and we enjoyed a little bit of window shopping before lunch. I can't wait to share more photos from this trip! Check back soon so see my images from some of the most beautiful places I have ever been, including Antelope Canyon, Bryce Canyon, Zion National Park, the Coyote Buttes, and the North Rim of the Grand Canyon.